Full high definition 1080p 30FPS video quality provides better image clarity than HD 720p. Replay recorded journey with GPS reception using the supplied tracking software on a PC, you can view recorded video footage, speed and location taken from anywhere. Capture more lanes of traffic and evidence with a wider lens angle. IR low light sensors allow for better recording at night or in low light condition for improved image quality. Keeps recording when an incident occurs and saves it into a secure folder to ensure that it is not deleted or re-recorded. All video footage is stamped with the time and date to ensure the evidence you collect is accurate and accountable. The built in microphone captures a clear soundtrack for your video footage. Loop recording allows you to continuously record footage. When your Micro SD card is full the camera will write over older files to ensure you are continuously recording. Accident files will be saved if your car is bumped or you select the file protect button. We recommend a Class 10 or higher SD card. Why is Wide Angle Lens on a Camera important? Not all actions happen directly in front of you, so having a camera that has a restricted view will eventually miss something of importance. Recording as much information as possible is critical and it can only help in capturing more footage around you. Choose a wide angle action camera or crashcam rom the Laser range to suit your recording needs. Why is Motion Detection important? Motion detection automatically turns on and begins recording when motion is detected. Even when your car is not running and unattended, if either a burglar or another car hits yours for example, the camera will begin recording. As long as there is power to the crash cam or the camera still have battery power available. Make sure you choose your Navig8r crashcam with Motion Detection feature to monitor your car for you. Why do I need G-sensor on my Crashcam? Preserve and back up incident files – It is easy to overlook in those hazy moments just after an incident, that the footage you have just recorded may be lost when automatically overwritten and erased. (Crash cam cycle records by design constantly reuse memory space) The G-sensor will take care of this by monitoring impact and once triggered, will automatically preserve the current file from being overwritten. Record while away from car – Constantly recording footage whilst driving is a great feature, however what happens to my car when it is unattended. Will the G-sensor still work? Yes. Crashcam models that support "bump recording" will automatically turn on and start recording when it detects impact. How much difference is there between 720p and 1080p and 1296p? t is important to keep your speed with the directed speed limit. For your safty and the saftety of others on the road. Speed signs change and from time to time we might forget we are passing a school zone. Be alerted to fixed speed cameras and school zones and avoid fines otherwise this could arrive in the mail. Fines correct as of 25/02/2016. For more information check with your local authority. Below is a letter that could be yours! It is easy to forget you are passing a school. Drive safely and avoid fines. The Navig8r Crash Cam Pro X 818 (our sister model) has also been featured on leading news, technology and motor coverage. 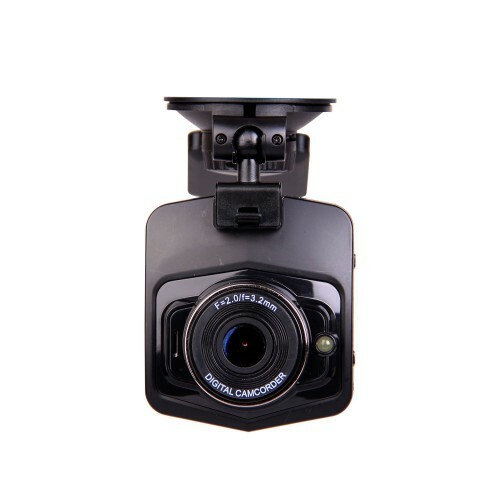 Whatever the occurrence – a car cutting you off, someone jumping in front of your vehicle – the Navig8r full high definition dash cam with GPS records the event and saves it for later reference. The recorded footage even pinpoints the location coordinates of the even through a GPS tracking feature. At 1080p (@30FPS) video quality and a wide angle lens, the camera is ideal for recording activities with an extensive range of view, in both daylight and at night. Make insurance claims easy with built-in microphone, auto-bump record and motion detector and loop recording, that ensures footage is continuously recorded and enough detail is captured in the event of an incident to pick out number plates, street signs, house numbers and people’s faces. Speed, time stamp and location details is on all footage ensuring all the evidence you collect is accurate and accountable. Recorded footage can be conveniently replayed using the supplied tracking software on a computer. This easy to use device adds support for any driver to keep you protected on the road. So, what is the catch with this CLEARANCE stock? “REPACK" is a broad term LASER uses for special-buy items which are only available direct from the LASER web site. These items have been heavily discounted to clear - well under the Recommended Retail Price. These items may have been returned from retailers as faulty, but upon later testing no fault was found; or the unit was repaired to as new condition by the factory. Such stock may have slight soiling and/or minor blemishes on the actual product even though the utmost care was taken during processing. These products come with full 90 day LASER warranty from the date of invoice and complete accessories. Click here for our full Clearance product Warranty Terms.